We started with the wings. At camp we actually used wooden shapes for the wings, but at home we used watercolor paper because I thought the watercolors would make a prettier, softer wing. 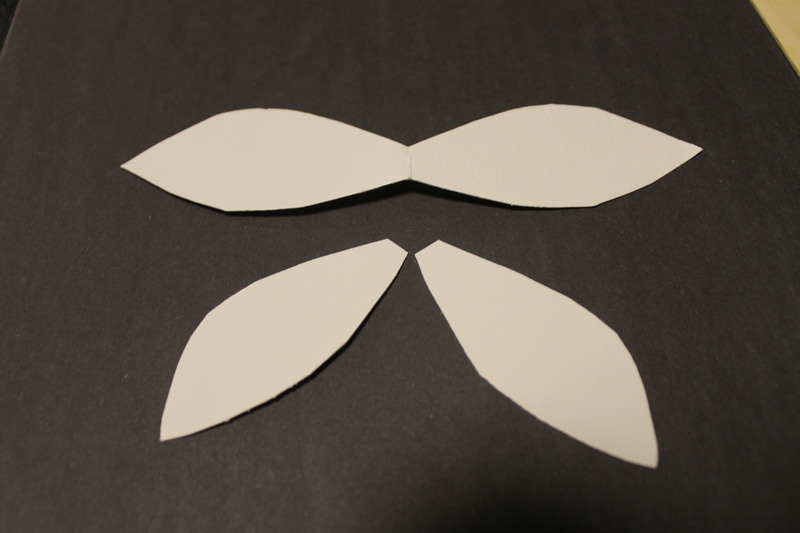 I sketched out the shape of the wings and cut them out of the watercolor paper. We used Sharpies to add details to our wings. I painted the wings and then set them aside to dry. Again, I love the look of watercolors for the wings, but you can choose markers or colored pencils or whichever medium that you choose to use. Draw a face onto one end of a jumbo craft stick using a thin Sharpie. You may draw on the hair or use yarn or paper to create the hair for your fairy. It was one of my campers that came up with the idea of using a circle of paper at the top of the head for a bun and I loved it. We used white construction paper and then colored it in using markers and added bangs to the craft stick. The dress you can also create using the medium of your choice. We just made a simple “V” at the neck and then a straight or wavy line for the bottom of the dress. To finish off the fairy, we glued the wings behind the fairy’s body. Each of us sketched a large fairy jar onto a piece of black construction paper and then cut them out. Using white, silver and yellow paint we added little twinkles around our jar. Then we carefully cut a slit about 1/4 of the way up from the bottom or our jars. The slit should be long enough that your craft stick fairy can move easily up and down and side to side around the jar. Now your fairy in a jar is ready to go. Make your fairy fly around its jar and enjoy the magic.